TEDxSilkRoad is a one day inspirational conference event that will take place in Istanbul, Turkey, a magnificent and bustling city and a unique bridge between the East and the West. TEDxSilkRoad Talks are now on YouTube! We have now uploaded all the TEDxSilkRoad presentations to YouTube, so you can easily watch all the speakers who participated in the event. Here is a link to the playlist on YouTube. TEDxSilkRoad was live streamed on the day of the conference, and in addition to the 220 attendees in the conference venue, 1,700 from 20 countries watched it live. This is an amazing result! Thanks to our friends at PozitifTV who made this possible. TEDxSilkRoad is now officially SOLD OUT! Thanks to all of you who registered – we’re looking forward to meeting you at Feriye Auditorium on Wednesday. To all our friends who haven’t got a ticket but still want to follow the event, you’ll be able to follow the video live stream of the conference on Wednesday April 11th, from 9.30 to 19.00 (click here to access the video live streaming). 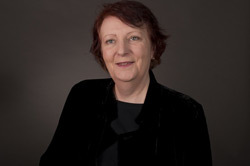 Marie-José Montpetit has been studying Social TV for more that 10 years now. Her MIT Media Lab Class on this topic examines television distribution asking the question how is digital technology changing they way television fits into society? According to Dr. Montpetit, Social TV -a current buzzword in the TV World- is a combination of socializing tools, mainly via devices like phones, laptops and tablets with the screen where you see your main TV show. It ranges from something as simple as commenting on Twitter while you’re watching your favorite TV series to being part of a Social Network (e.g.GetGlue or Miso) that allows you to discover new content and interact with other people in a sort of electronic viewing room. In her session at TEDxSilkRoad, Marie-José Montpetit discuss the role of technology in changing our lives, debating if it is a barrier or a facilitator. The old Silk Road was also about story telling and cultural sharing. How will stories be shared in the global living room of the future? 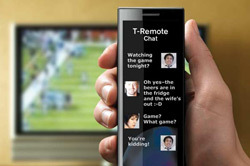 Will Social Media and Social TV be the next fireside, connecting people around television programmes? How do we trust each other online? Do you need to see my eyes? Or do we need to touch? How do we trust as networking bodies? Those are the questions that kickstarted the interactive project Tele_Trust by TEDxSilkRoad speaker Karen Lancel, who together with Hermen Maat, explores how in our changing social ecosystem we increasingly demand transparency, while at the same time we increasingly cover our vulnerable bodies with personal communication-technology. The definition of “Presence” in the 21st century has changed. Presence is now something you cannot touch, creating an emotional and social tension between visibility and invisibility, and between privacy and trust. 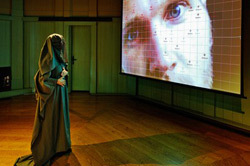 Lancel and Maat created a “DataVeil”, a full body covering garment, gender neutral, that was inspired by eastern and western traditions, like a monks’ habit, a burqa, Darth Vader, and a ‘trustworthy’ chalk stripe business suit. By 2015 there will me more than 50 billion connected devices. Many of them will be sensors producing data that can be used to make decisions, but these decisions won’t be limited just to humans. In most cases they will be taken by connected machines that interact with each other. That’s the essence of the “Internet of Things”. TEDxSilkRoad speaker Patrice Slupowski will uncover a veil on these sensors which will be present everywhere, out in the external environment, inside our homes but also around and inside our bodies. The interaction of these sensors with other machines and with us will open new possibilities. Right now, sensors exist to measure our biometrics and body patterns, rate our health, track our food consumption, determine our stress and sleep quality, map our social interactions and even our mood. 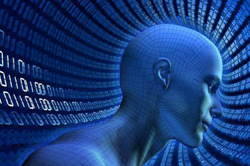 New devices are being created to produce rich data on ourselves. This data is enabling the creation of a personal “health score” that in a near future will allow us to unlock a “personal science” and “personal medicine” that will address our very own health situation. The Silk Routes crossed different countries and cultures and aside from commerce, it stimulated the creativity of artists by bringing them together to share their talent. Delight your ears with this video of the Silk Road Ensemble. The Silk Road Ensemble is a collective of musicians, composers and performing artists from more than 20 countries that first came together under the artistic direction of Yo-Yo Ma. The Ensemble’s compositions and performances explore and expand contemporary musical crossroads. Mark Norell is a Paleonthologist and has curated the Silk Road exhibit at the American Natural History Museum in New York. Dr. Norell will talk about the Past, Present and Future of the Silk Road. 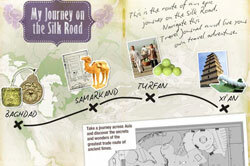 We will get familiar with the old Silk Route, what it was, how people lived it and travelled through it. Commerce throughout the Silk Road has “built” some of the most powerful cities of their time by fueling creativity. It’s exactly the same effect that the New Silk Road is having in our World now: Commerce fuels Creativity. Ushahidi builds tech tools for democratizing information, increasing transparency and lowering the barriers for individuals to share their stories in a way that is disrupting the traditional way that information flows. Heather Leson is the Director of Community Engagement at Ushahidi and at TEDxSilkRoad she will share how Technology helps activate communities, and how they can then help foster capacity and collaboration during an emergency. TEDxSilkRoad is very pleased to announce that Francesca Rosella & Ryan Genz, founders of interactive clothing company CuteCircuit, will be presenting their interactive, connected fashion at TEDxSilkRoad. TEDxSilk Road has a truly unique program that will bring together over 15 speakers and performers and 200 thought leaders, mobile & internet entrepreneurs, and cultural leaders from Turkey and around the world to participate in this timely conversation. In the spirit of ideas worth spreading, the organisers of the world renowned TED conference (www.ted.com) has created a program called TEDx. TEDx is a program of local, self-organized events that bring people together to share a TED-like experience. 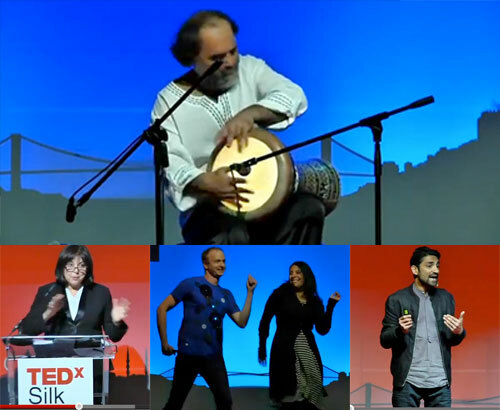 Our event is called TEDxSilkRoad, where x = independently organized TED event. At the TEDxSilkRoad event, TEDTalks video and live speakers will combine to spark deep discussion and connection in a small group. The TED Conference provides general guidance for the TEDx program, but individual TEDx events, including ours, are self-organized. Follow us on social media and find out the latest updates on TEDxSilkRoad & upcoming Digital Silk Road events.